Second Lieutenant George Te Kuru of C Company who embarked with the Main Body. 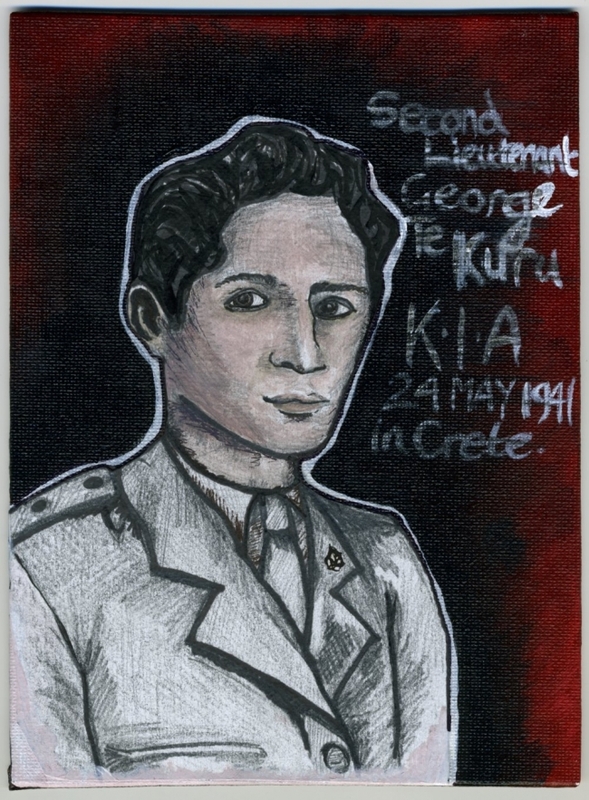 George was killed in action on Crete. This artwork was given to us by a very talented young woman.